Welcome to our epic beard styles article. 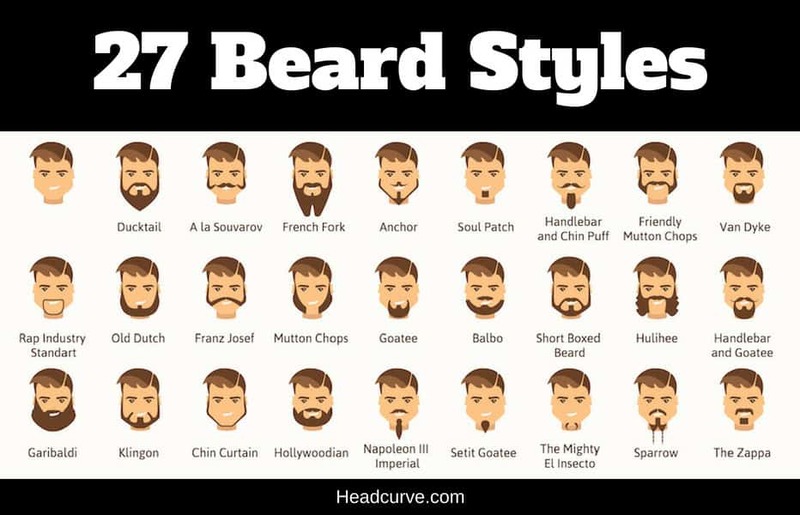 Above is our beard styles chart with 27 beard diagrams. Below we explain each style. Another look popular in the Amish community, the chin curtain is a cleaner, more tailored version of the Old Dutch, without the goatee. 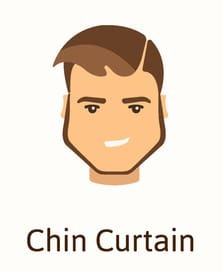 Like the name implies, the chin curtain consists of a thinner solid line of hair that travels from ear to ear, across the bottom of the chin. The anchor is somewhat similar to a ducktail, but not as full. The configuration is similar, however, and is another more modern, sophisticated offering. 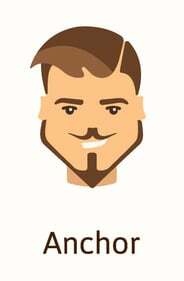 The anchor consists of a narrow, neatly trimmed beard that extends from ear to ear, paired with a small goatee. The anchor can be worn with a wide variety of mustaches or worn without one. This type of beard looks best on men who have round, square or oblong faces. A handlebar mustache is possibly one of the most classic mustache looks and was largely popularized in the wild, wild west. 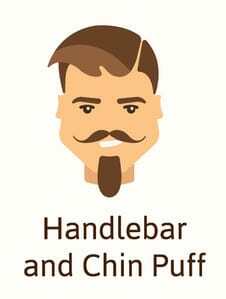 A chin puff is similar to a goatee, but is thicker and fuller and only covers the inside of the chin. It can be grown out as long as you like, but should be of an equal thickness as the mustache or it will detract from the mustache. If you can’t grow a long, thick chin puff, it is better to keep it shorter. This style pairs well with a slightly shorter hairstyle, but not too short. 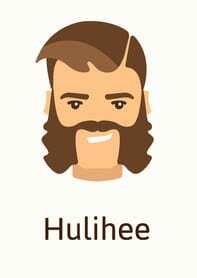 The Hulihee is another classic beard that while impressive, can generally only be pulled off by a very few. Because of the large and impressive nature of the Hulihee, it has also been historically favored by larger men. This is also possibly due in part to it working particularly nicely on men with large or round faces. The Hulihee consists of very long and full mutton chops that border on being wing-like, pulled together by a full mustache. Because of the wild, unkempt nature of the Hulihee, it may not be best for individuals with any type of corporate job. 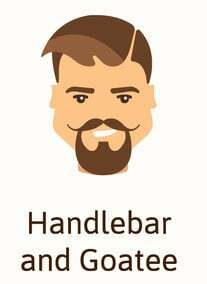 Much like the handlebar and chin puff, a handlebar and goatee combines the flair of a handlebar mustache with a slightly more tailored look than that of a chin puff. A handlebar and chin puff exudes more genteel southern charm, while a handlebar and goatee offer a slightly more urbane yet rakish appearance. Think Ashley Wilkes versus Rhett Butler. 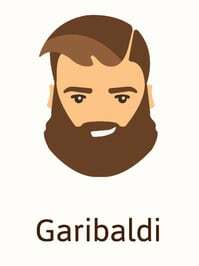 This beard is named after General Giuseppe Garibaldi, who helped unify Italy in the 19th century. Just as unifying an entire country is no easy task, this is no beard to be trifled with. The Garibaldi is a full, bold, wild in-your-face, beard that makes a statement wherever you go. This uber macho beard practically reeks of testosterone and is often favored by men who spend a great deal of time at the gym. 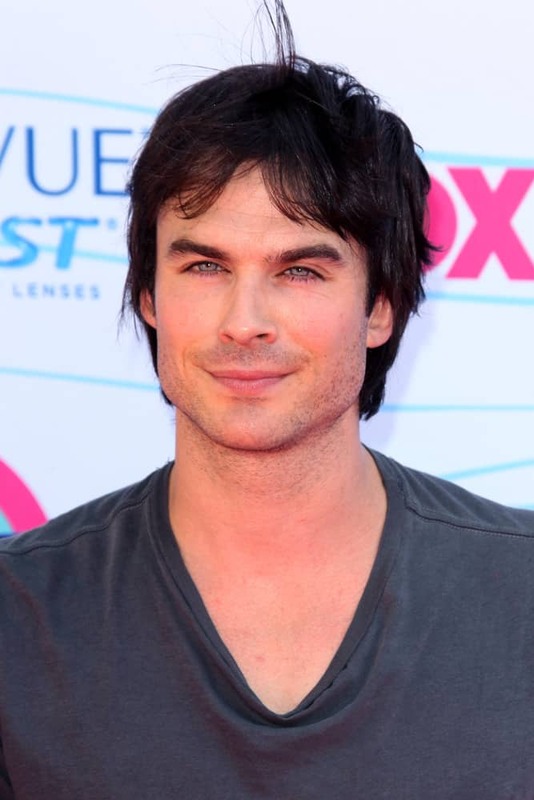 Men with any type of facial shape can easily pull this beard off, but it does look best on square or rectangular faces. While the Garibaldi is meant to be full and wild. that doesn’t mean it doesn’t require frequent trimming. You want to aim for a bold look, not a completely unkempt one. Traditional mutton chops run from the sideburns down to the chin. Friendly mutton chops, however, travel up over the lip and are connected by a full mustache, creating one long line from sideburn to sideburn. This style looks great on men who have a fuller, round or oval face and can grow full, thick sideburns. Like traditional mutton chops, however, this style also does not suit men with a pointy chin. 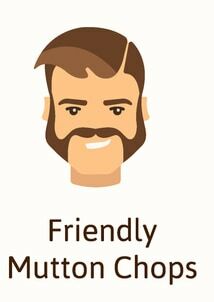 If you want to turn your traditional chops into a friendly version, then you will need to shave the bottom of your chops as soon as they have connected with your mustache. This classic beard is enjoying a revival thanks to its currently popularity with famous musicians. The Van Dyke consists of a pointed mustache paired with a short, pointy beard, with the cheeks and sideburns being shaven clean. It is important to stay on top of trimming, but overall the Van Dyke doesn’t require a great deal of care and maintenance. A classic Van Dyke involves a full, rounded beard that covers little more than the chin area and comes to a pleasant point at the bottom. As the name would suggest the Rap Industry Standard is a very modern look, largely popularized by rap stars. 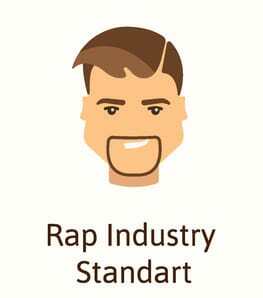 The Rap Industry Standard is a thin, narrow line that creates a circle around the mouth and jawline. When done well, this beard will frame the face and create an interesting focal point. When not done well, however, this beard can be a disaster. Generally, the problem is when the beard is not trimmed thin enough. A thick line just looks weird. 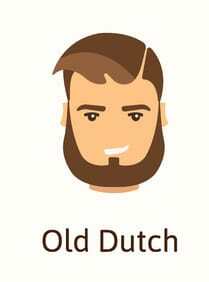 The Old Dutch is a more classic style, generally popularized by lumberjacks and the Amish. It is also possibly one of the lowest maintenance beards as it is essentially just a full, thick beard with no mustache. 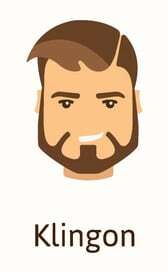 The beard is meant to connect to the sideburns, but the cheeks are left clean shaven. This beard also pairs well with longer hair, but not longer than shoulder length. The a la Souvarov is similar to friendly mutton chops, but thinner and neater. The a la Souvarov is a great look for men that like the look and shape of friendly mutton chops but have difficulty growing full, thick facial hair. 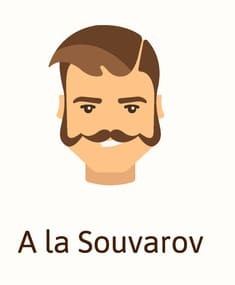 Like friendly mutton chops, the a la Souvarov is a single line of hair that extends from ear to ear, but goes over the lip rather than under the chin. Named after a famous Russian general – Alexander Suvorov – this beard is slowly growing more oscure and takes a great deal of maintenance to keep it looking its best. This beard looks best on men who have large features and aren’t afraid to attract a great deal of attention. 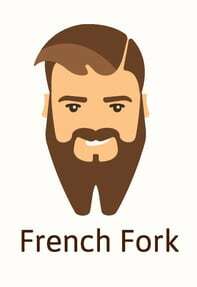 The French Fork is an extremely distinctive beard that only a handful of men can really pull off. Like the ducktail, it consists of a full beard that runs from ear to ear across the bottom of the chin, paired with a small goatee. 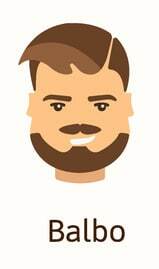 As the name would imply, however, the beard is actually split in two, creating a two-pronged “fork.” Successfully pulling this beard off is not as much about having a certain shaped face, but having the bold personality to do it. The French Fork is generally favored by men who also have long, somewhat unruly hair. 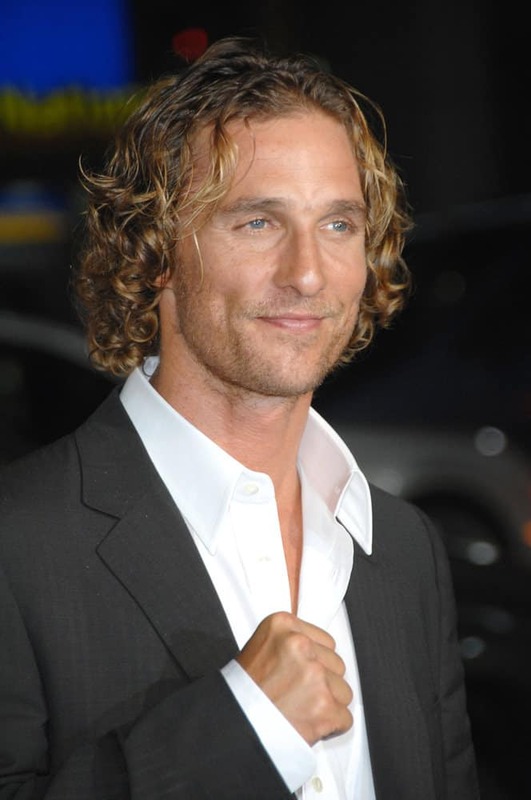 Another one of the most classic looks, the soul patch was popularized in the 1970’s. 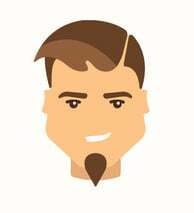 A soul patch is just a small neat triangle, rectangle or square of hair on the chin that does not extend all the way up to the lip. One thing to be aware of is that because of their cultural roots, soul patches can actually be very polarizing. If you choose to wear one, you will definitely want to keep it neatly trimmed at all times and keep the face and neck neatly shaven. 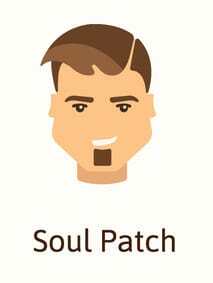 Soul patches tend to look best on men with longer, more narrow faces, but they can add length to round faces as well. 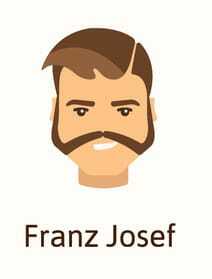 The Franz Josef is named for Franz Josef I, the Emperor of Austria and could best be described as friendly mutton chops with flair. Like friendly mutton chops, they travel up and over the lip, but are fuller and thicker than traditional friendly mutton chops. The end goal is to create a solid line that extends from the sideburns down to the lower cheeks and them up and over the lip. Mutton chops are another classic look that most likely traveled here from Europe, but are often most commonly associated with bikers in the US. Mutton chops look great on men of all ages, but require the ability to grow full, thick facial hair from ear to ear. The best way to create mutton chops is to grow a full, thick beard and then shave the center section. Since mutton chops leave the chin exposed, this is not a good look for men with a prominent or pointy chin. 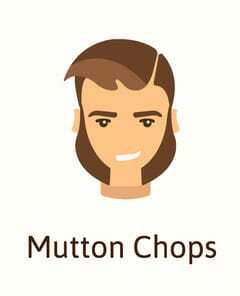 Mutton chops are often favored by men who are losing the hair on their head and look good with a clean shaven head. The goatee is a classic style that has been around for centuries, dating at least as far back as ancient Asian civilizations. Because of the age of the goatee, there are an almost limitless number of ways to wear or create one. 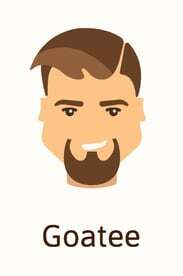 About the only thing all goatees have in common is that they are grown in the center of the chin and should not extend past the edges of the lips. 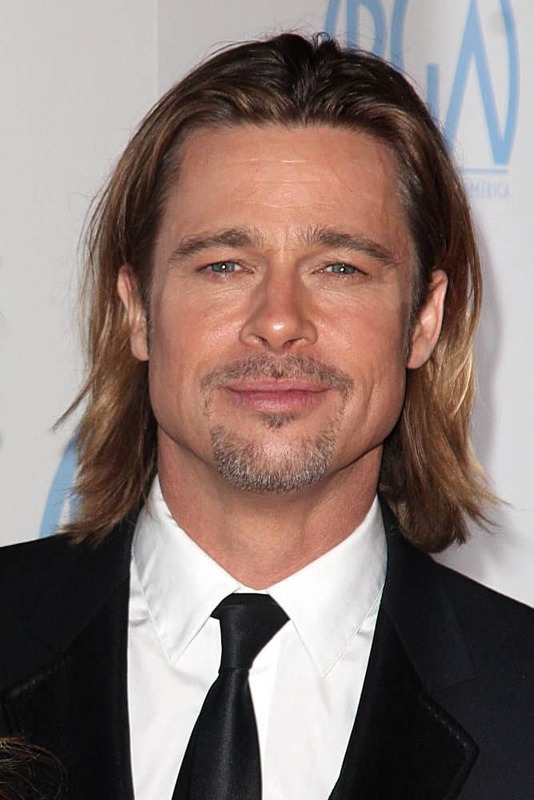 A goatee generally extends all the way up to the lip and can either be trimmed short or worn long. The longer a goatee grows, however, the scruffier it tends to look, so a long goatee does not tend to be a good look for most. Goatees tend to pair well with a wide variety of hairstyles but probably look best with long hair or a clean-shaven head. 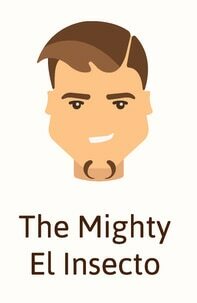 As the name implies, the petit goatee is a small, neat, tidy goatee. This style works well on men with square faces that want to emphasize their chin. Petit goatees are generally small, short and kept neatly trimmed. They also pair well with short, neatly trimmed hair. For men that have difficulties growing facial hair or only want the merest hint of facial hair, the Mighty El Insecto might be the look for you. The Mighty El Insecto consists of two small strips of hair left running parallel to each other along the chin line, similar to a double petite goatee. While not a particularly difficult look to obtain, the Sparrow is one that only a handful of men will ever be able to fully pull off. 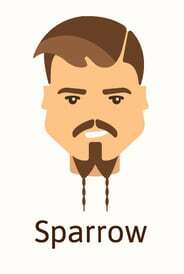 Popularized by the character of Captain Jack Sparrow in the Pirates of the Caribbean movies, the Sparrow consists of a long goatee that is separated below the chin into two narrow braids. For the truly avant-garde, you can even add beads to the bottom of the braids as well. This look looks best on men with round, oval or rectangular faces that also have the savior-faire to pull it off. The Balbo beard enjoys a particularly interesting history largely based on its roots. At one time, it was closely linked to Fascism, since it was originally popularized by Italian Air Marshall Italo Balbo, who was one of the primary henchman of Mussolini during WWII. 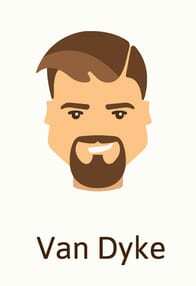 The Balbo beard consists of a thin mustache and a soul patch, which connects to a thin beard that runs along the chin.The beard should end somewhere between the end of the lips to about 3/4 of the way to the ears. This is another beard that generally requires a lot of confidence to pull off and suits diamond or square faces the best. It is a very bold look that generally pairs will with a good bit of confidence and swagger. Perfect symmetry is critical with this look, so you may want to enlist the assistance of a good barber. Most men that grow a beard will most likely wear this style at some point in their life because it may be the most classic beard style of all. The short boxed beard creates an excellent outline of the jaw, which can emphasize a strong jawline while still showcasing great cheekbones. 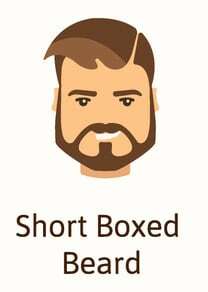 Because of the short, neat, tidy nature of a boxed beard, it is often one of the most socially acceptable styles for beard wearers. Like most short, neat styles, it requires regular upkeep, but can be well worth it. This style works best on men who have round, heart-shaped, oval or angular faces, but can make square faces appear even more angular. Much like the fictional race it was named for, the Klingon is a highly tailored style tha might be best suited to intellectuals. The Klingon consists of a full beard with a small soul patch and “wings” that are trimmed up to the corners of the mouth. Imagine a full beard and connecting mustache that is shaved just over the lip. The “wings,” however, are meant to be two smooth, clean lines, so they will require a good bit of care and maintenance. The Klingon creates a strong outline over the cheeks and jawbone and will draw a great deal of attention to your chin and cheeks. This makes it a great way to show off more chiseled facial features. 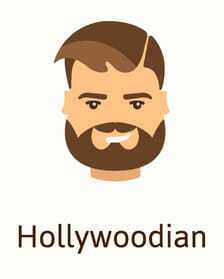 The Hollywoodian is a somewhat vintage look that still remains one of the most popular beard styles. The Hollywoodian is essentially the more classic version of a modern ducktail. It consists of a shorter, fuller beard, traditional mustache and goatee. 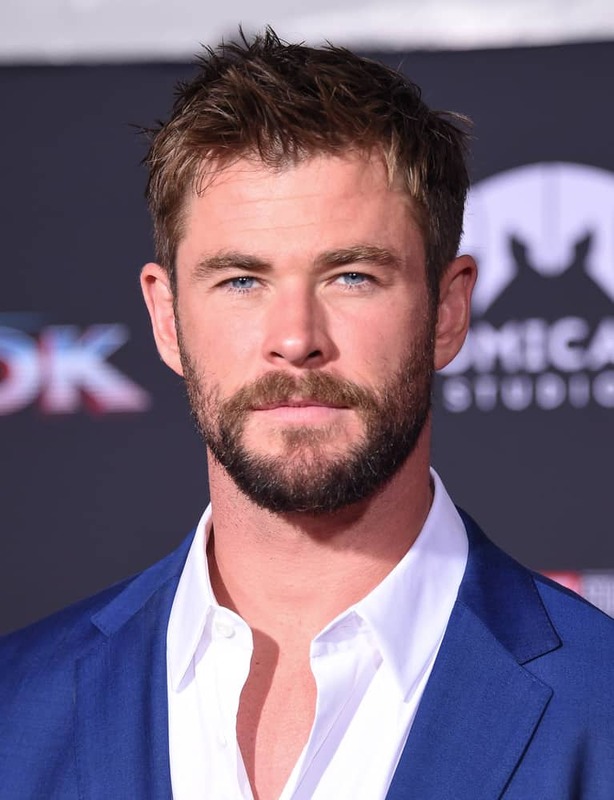 Much like many of the leading men who wear it, the Hollywoodian is made to show off classic bone structure while still offering a more traditional masculine, rugged beard line. A ducktail is a more modern beard offering that offers a somewhat sophisticated look with just a touch of rebel. 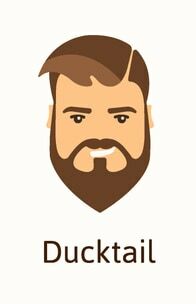 The ducktail consists of a fuller, thicker, neatly trimmed and shaped beard held together by a thin mustache that connects to the beard on either side. This look is perfect for men who have difficulty growing hair below their lip or on their upper cheeks. A ducktail can be worn either long or short, but does need to be combed regularly or it can get a bit unruly. A ducktail looks best on men with a round, diamond, rectangular or inverted triangle shaped face and pairs well with a neat, tidy, well-trimmed and shaped hairstyle. The Napoleon III Imperial is another very unique beard style that is sure to make a lasting first impression. 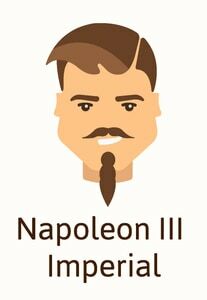 The Napoleon III Imperial pairs a traditional handlebar mustache with a very impressive goatee-like beard. The beard portion of a Napoleon III Imperial combines the long length of a classic goatee with the fulness of a chin puff, creating a unique and impressive set of facial hair. Perhaps the most unique feature of this beard, however, is the unique rounding at the top of the beard, which is meant to essentially resemble an upside down exclamation point. 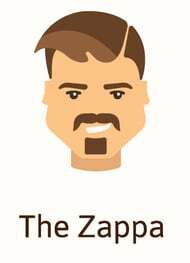 The Zappa was popularized by Frank Zappa and is perfect for men with square faces or those that have difficulty growing anything more than stubble in their cheeks. The Zappa pairs a slightly fuller, rectangular soul patch with a thick, full, gently curving mustache. It’s important to keep the mustache thick and full to offset the soul patch properly.